have u seen finnish army issue shovels,the old or the new from fiskars/gerber. im using the finnish ones. i can take some measures for you at monday,they cost about 20 euros a piece,man. yes its quite simole and sturdy,most of guys in army sharpen them to use it as a a hawkbill&axe. I have two WWII US army issue ones, and a Swiss one that I bought from felinevet. I've abused one of the US ones for over 20 years and it is still very strong. The Swiss ones are amazing though--extremely rugged with strengthening ribs on the blade, thick joint with six rivets and saddle leather sheath. it's great, one tuff mother! I need a sheath though. 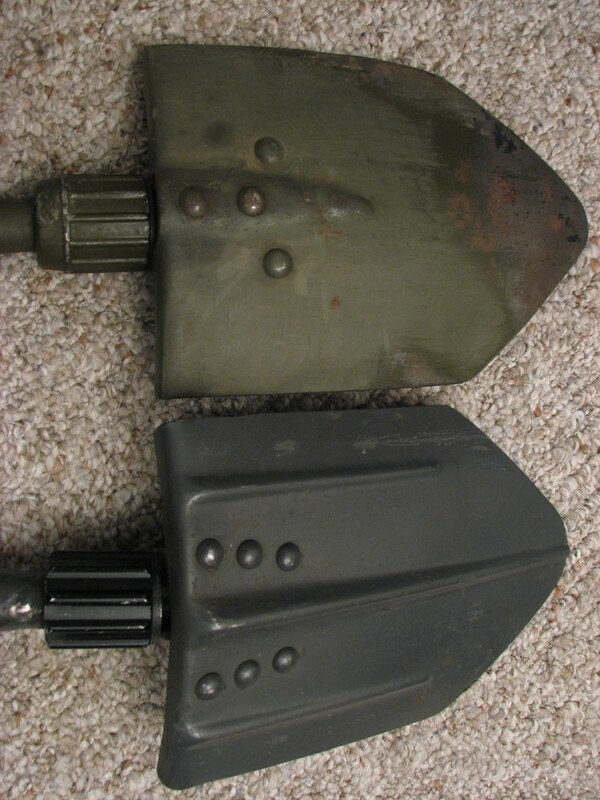 It's very well made and uses a lot of relatively high tech materials (plastics and polymers), the shovel head is slightly bigger and deeper than the US army equivalent, and because of the polymer shaft and alloy head you can dig for quite long periods without fatigue because the shaft damps out alot of the shock and vibration , the edge's are beveled (not sharpened) so it can be used as a resonable effecient hatchet. But one of the best features is the screw off pommel the conceals a very effective wood saw and combo tool! hey Micky,how much do those glock´s cost there? I love that pic! I want to print it out and frame it! some one asked about finnish army shovel? i know this guy who has about three of those,i posted picture of one,before,he wants 27 euros for it. I really don't like a folding head on a shovel... 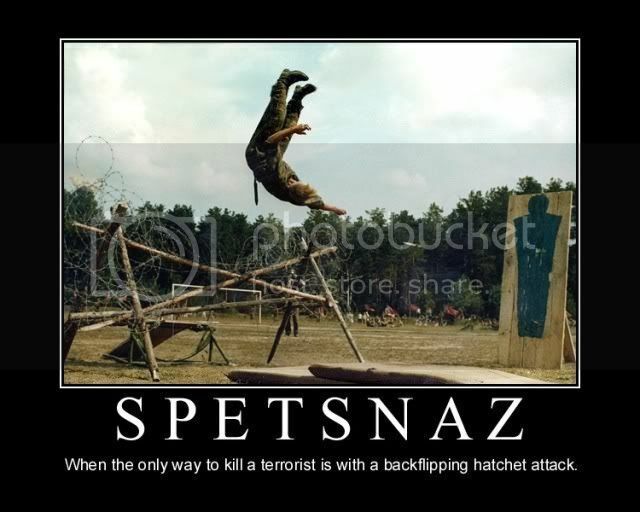 I'd consider it worth the extra bulk to have a solid, fixed shovel like the Cold Steel SPETZNAZ shovel. Do you say that because you feel that the joint is a weak link? 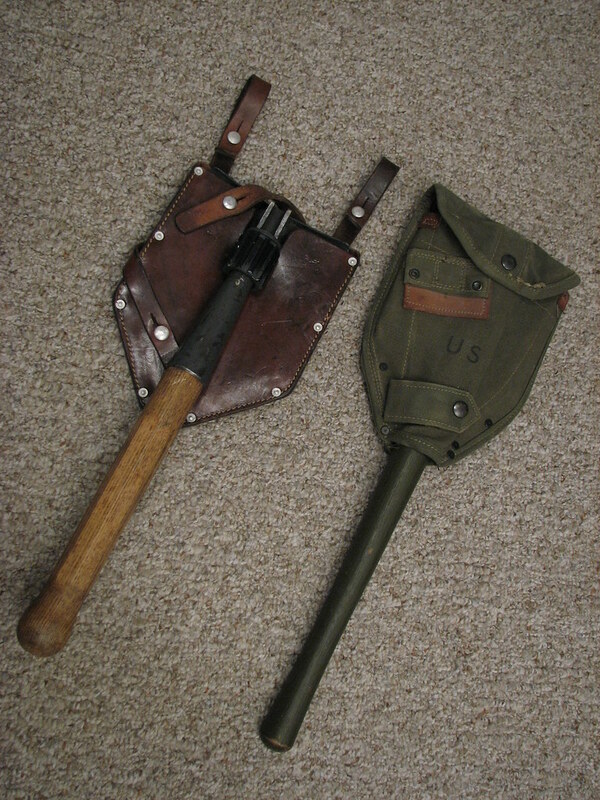 I can't imagine what I would have to do to break the joint on either the Swiss or US entrenching tools I have. In my experience, the handle or blade would give long before the joint. It's a plus to be able to lock the joint with the blade at 90 degrees from the handle also. well each individual likes different strokes. 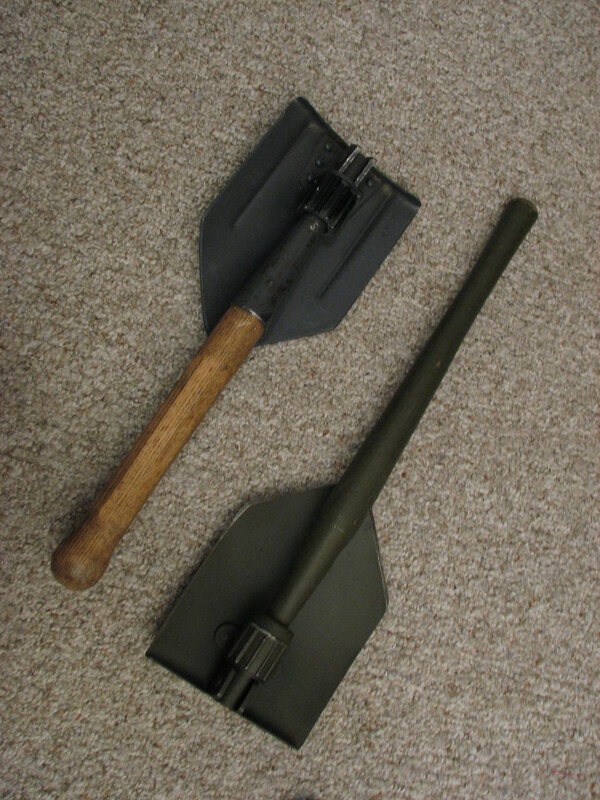 i like if the shovel is somewhat compact to carry,and can be used as pick when its folded 90 degrees. but ie. 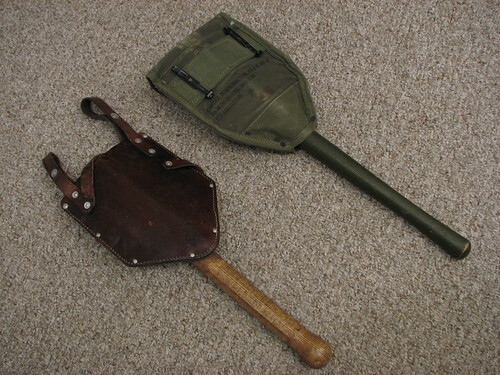 Finnish older model army shovel is folding type but its still quite long,it wont fit into battle belt or in any chest rigs,but with few straps it goes easily in top of rucksack. Bah, never mind.... I see that we've had this conversation before (earlier in this post). Long enough for my memory of it to have expired, I suppose (which isn't saying much)!